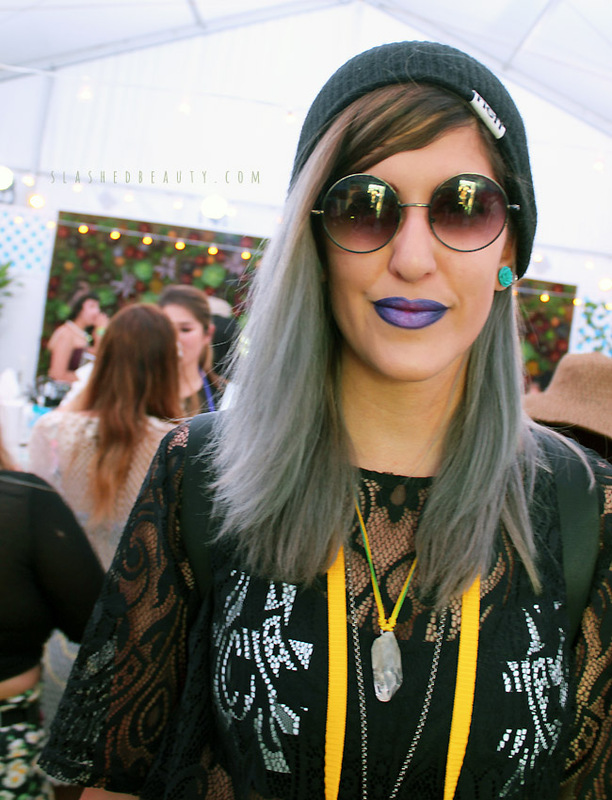 This past Saturday, I joined the Sephora Collection team at Coachella 2015 to experience the festival first hand and get an insider’s perspective at the beauty trends being set from within. 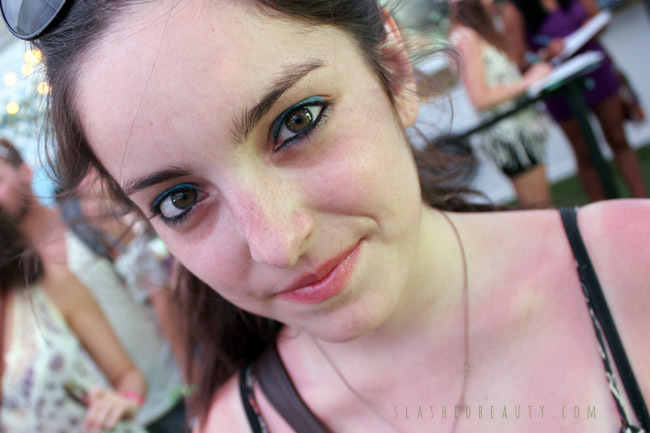 With such an eclectic mix of people, I was excited to see how everyone chose to express themselves through makeup. 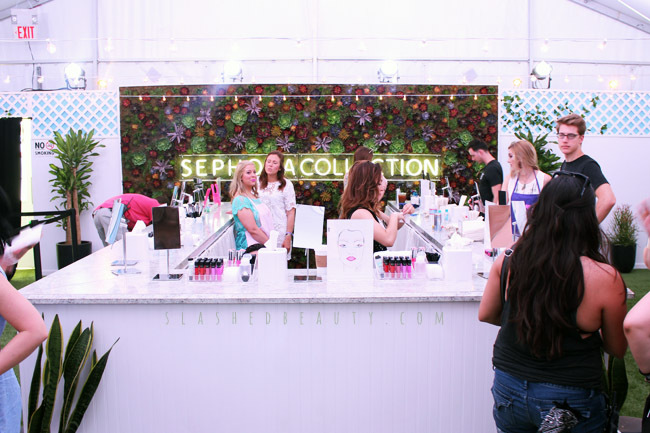 As the official beauty sponsor for the second year in a row, Sephora had a tent dedicated to creating music festival beauty looks with their Sephora Collection products. 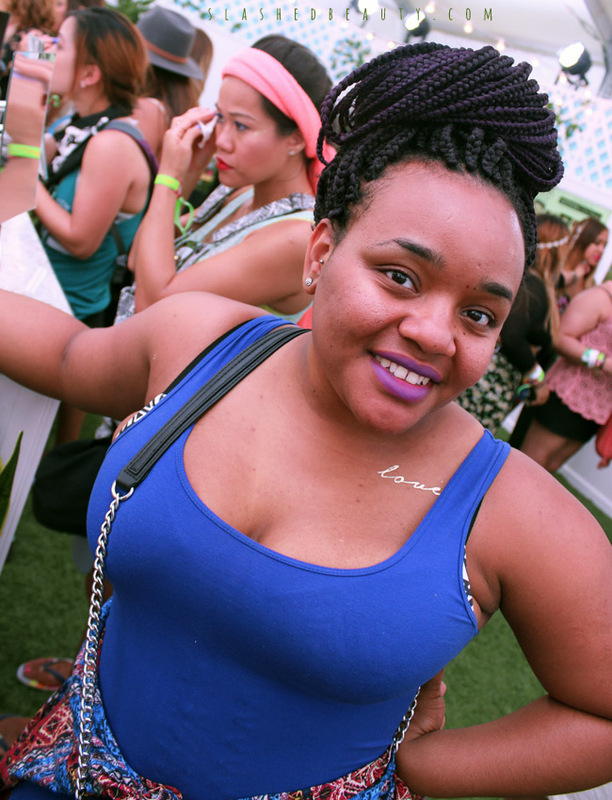 There were DIY stations designated for each step of creating a full look— check out what festival goers decided to rock! 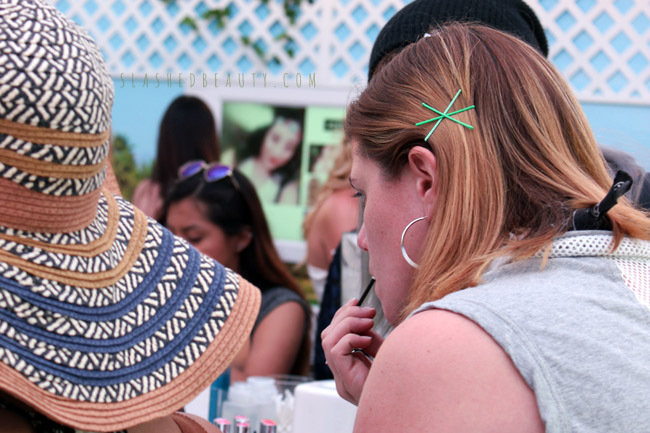 Coachella guests were immediately drawn to the lip station, where they could play around with the bold colors from the Sephora Collection Luster Matte Long-Wear Lip Color and Ultra Shine Lip Gloss lines. 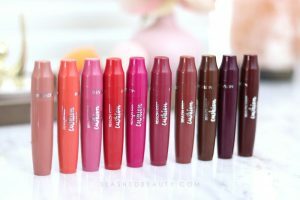 Hot pinks, stand-out purples, and bright reds were the most worn. Blue seemed to be the color of choice when it came to the eye station! 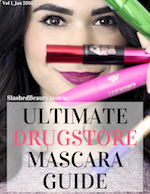 Ladies painted their eyes electric using the Sephora Collection Contour Eye Pencil, which offers 12 hour waterproof wear, and the Sephora Collection Full Action Extreme Effect Mascara. 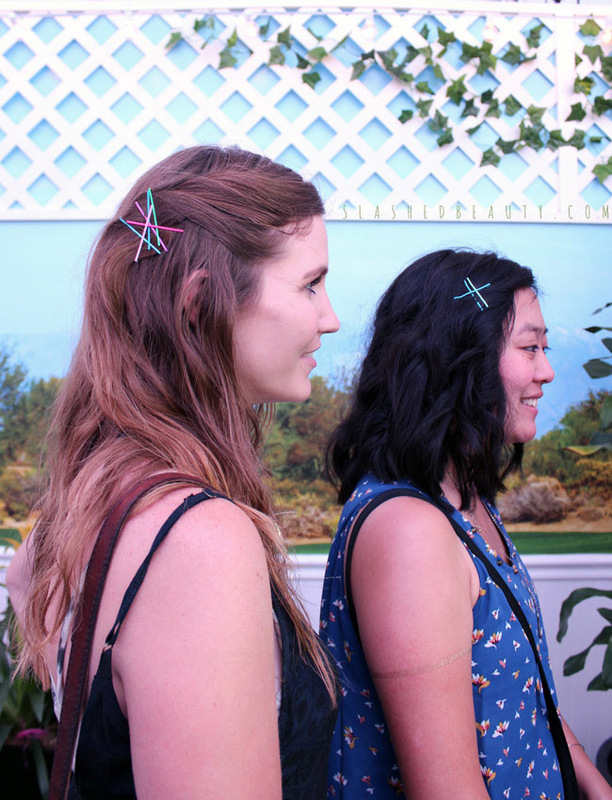 Bobby pins weren’t just for function in the desert heat, but also for fashion! 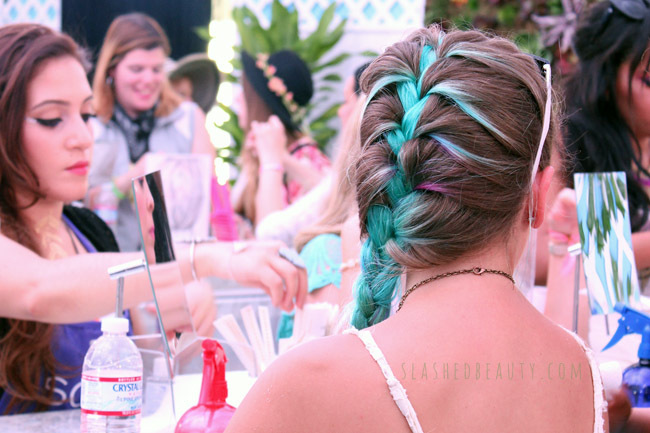 Cool hair designs were made using the Sephora Collection Ombre Bobby Pin Ups. 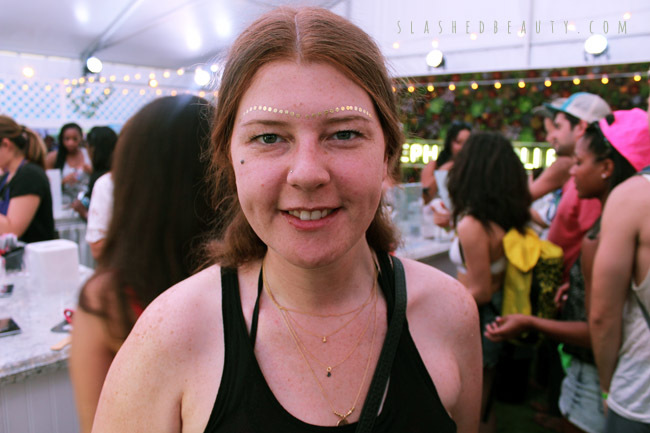 The Sephora Collection Shine Beautifully Metallic Gold Temporary Tattoos were released just in time for Coachella, and you could spot at least 10 everywhere you looked around the festival grounds. The shimmery tattoos were worn by men and women both all over the face and body. So many people got their face mask on in the tent’s fire pit lounging area. 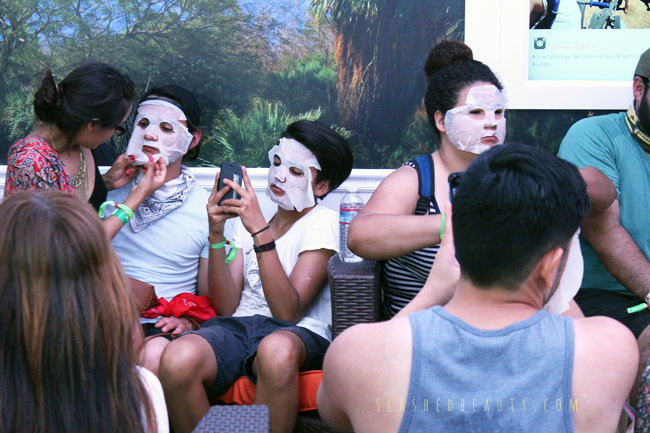 I loved seeing how surprised guys looked when they took the mask off and felt their skin. Also… this girl’s hair. Like, c’mon. 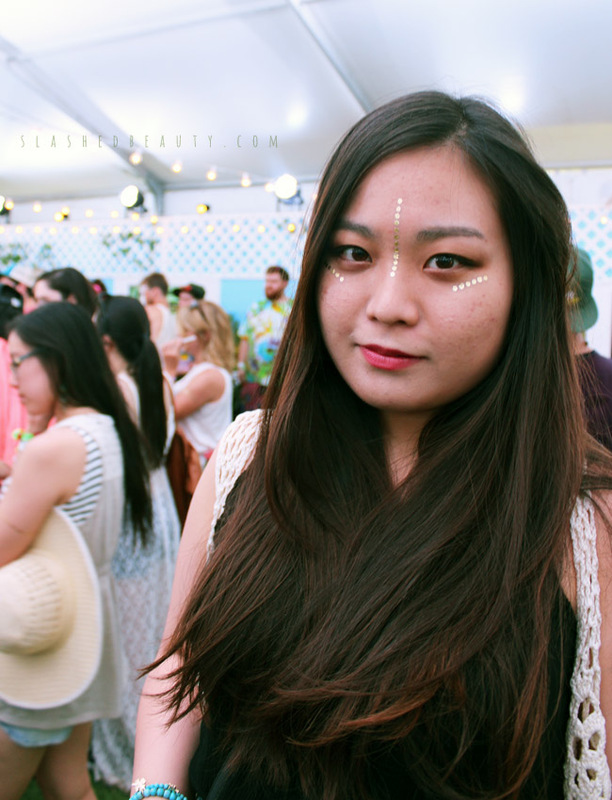 What are your favorite music festival beauty looks? I love all of the color! And, for real, I want that braid. What fun! 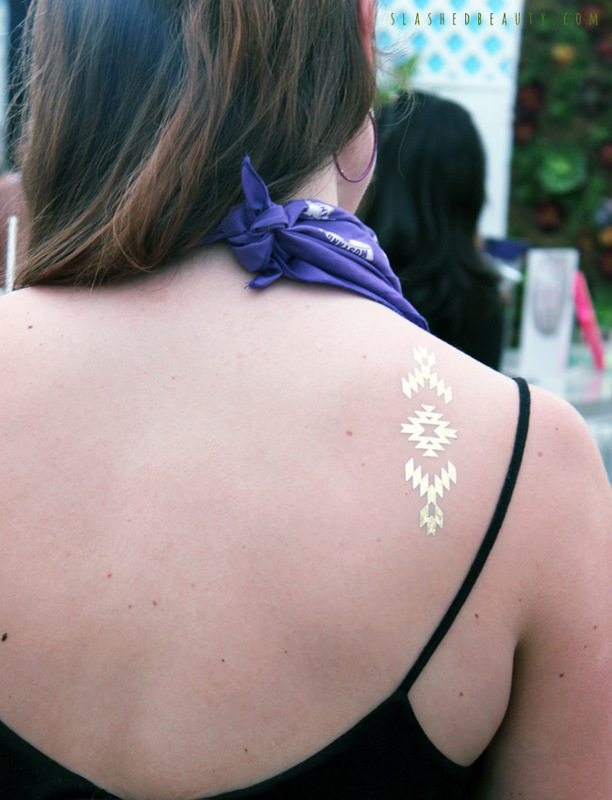 I want those ombre bobby pins and a dozen of those metallic tattoos to use on a riot of a weekend. Well I wish they had been there when I went years ago! How awesome! Fun. Love seeing real people being beautiful. 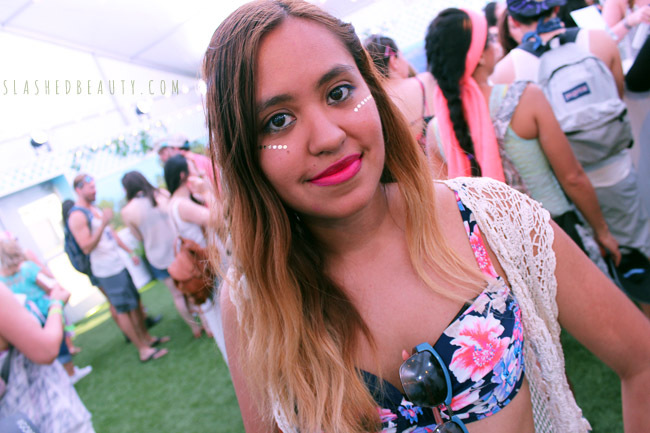 I’d like to see your Coachella look! The metallic tattoos are where it’s at! Those colored bobby pins are so neat! What a great report. My nephew goes to Coachella every year but he’d never take pictures like these! 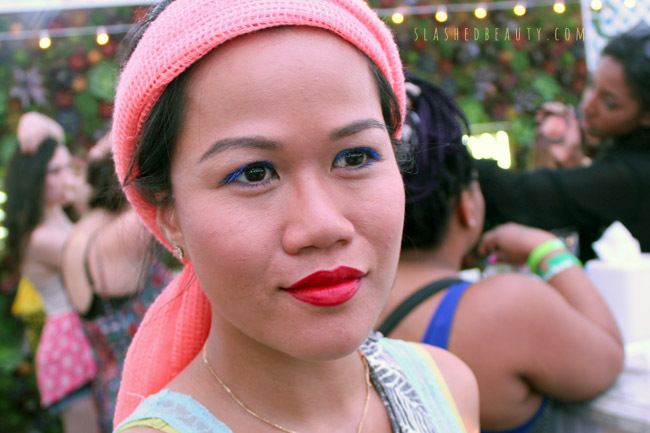 These trends are so cute–love the colored bobby pins! Love that girl’s hair! Sweet. The bobby pins were cute, too. I can see my niece rocking that kind of look. I want some of the metallic tats for me! SO jealous you were at Coachella! One day I will get there for sure! And that girls hair is ON POINT. Loving temporary tattoos, they’re perfect for festivals! I love all of the looks! I wish I could attend events like this. One day for sure! Looks like so much fun! 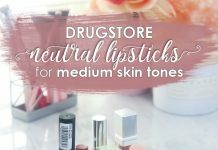 I love the lippie looks! I hope you enjoyed Coachella.